Megan McKnight is a soccer star with Olympic dreams, a history major, an expert at the three Rs of Texas (readin', ridin', and ropin'), and she's not a girly girl. 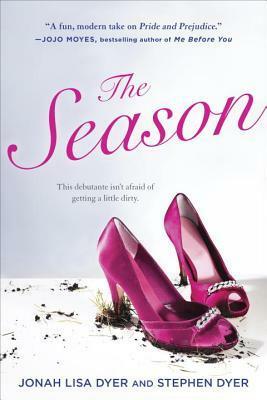 So when her Southern belle mother secretly enters her as a debutante for the year's deb season in their hometown of Dallas, she's furious--and has no idea what she's in for. Megan's attitude gets her on probation with the mother hen of the debs, and she has only a month to prove she can ballroom dance, display impeccable manners, and curtsey like a proper Texas lady or she'll get the boot and disgrace her family. The perk of being a debutante, of course, is going to parties, and it's at one of these lavish affairs where Megan gets swept off her feet by the debonair and down-to-earth Hank Waterhouse. If only she didn't have to contend with a backstabbing blonde and her handsome but surly billionaire boyfriend. Will Megan be able to juggle her soccer dreams and Texas society? Because the season has just begun, and the drama is just getting started. The writing really brought out where the book was set – Texas. Our two debuting sisters, Megan and Julia (Elizabeth and Jane) are twenty, not teens, and live in their own apartment together, and come from a long line of cattle ranchers. They live in Texan High Society and Johan Lisa and Stephen really brought out both the High Society and the Texas through their words, creating the perfect backdrop to a good story. Like I said when I started this review, I was SO BEYOND SOLD on this idea that it had been on my radar for over a year before I even requested it from the lovely folks at Penguin Random House International! I loved the storyline before I even knew that it was a Pride and Prejudice retelling, especially the fact that this was about an athletic girl being forced to make a debut. This book reminded me a little of Gossip Girl’s Cotillion, a little more of The Secret Diary of Lizzie Bennett and a little originality sparkling in the middle. The way this book started made me laugh. As the book went on, I was able to place all the Pride and Prejudice character personalities to the characters in this book and the placing was a lot of fun! 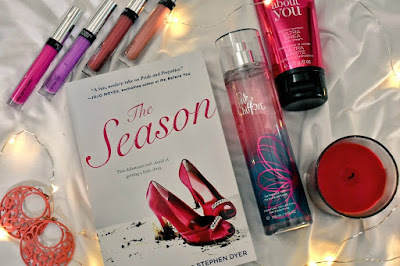 I loved that there were so many different things going on – Megan’s debut, her football, her boy drama, her relationships with her sister and her father and all the petty drama that (undoubtedly) happens when one is making her debut into society. At the same time, I felt like TOO MUCH was happening at the same time, and I felt almost none of it. For starters, apart from Megan’s initial reaction, I didn’t see her resisting to the idea of making her debut at all, as the description promised she would. In fact, she knew as much about gowns and designers and fashion styles and someone who was looking forward to her debut would, which was strange to me. In the span of 300 pages, our protagonist gets swept off her feet twice, scores over thirty goals in her college football matches, updates her wardrobe, learns how to be a Texan lady and make her debut and it was just a LOT of things going on on the page and I felt like it was rushed and crammed. I did really like Megan, her sister Julia, Andrew (Mr. Darcy DUH HOW COULD I NOT) and even her Dad. If you were intrigued by the premise like I was, you should definitely pick this book up. It has its flaws, but it’s also the most fun Pride and Prejudice retelling I’ve read in a while! 3.5 stars. In a partnership exceeding twenty years, native Texans Jonah Lisa Dyer and Stephen Dyer have made lots of amazing things together: the films Hysteria and Away & Back; a cozy home in the mountains of Idaho; a pact to always look for the good in the world; two exceptional human beings who love reading, laughing and pie as much as they do; and a novel due for release this summer. They hope to continue making things for as long as they can. What's your favourite book by Jane Austen? Which Bennet sister are you most like? What are some of your favourite Pride and Prejudice Retellings? Have you read The Season? What did you think of it?